Thank You for today. I am happy to share with you a story about my first American friend. Remembering my Soviet school years is impossible about this story. As you know my school years (1981 – 1991) were the years of the Cold war between USA and USSR. If we wish to create a lasting peace, if we want to fight a war against war, we must begin with the children. Mahatma Gandhi’s words mirrors the ambivalent situation Soviet children were in. From the one side we knew about USA as the worst enemy, from the other side we all had had an American friend we adored by whole heart. We loved Samantha Smith. My name is Samantha Smith. I am ten years old. Congratulations on your new job. I have been worrying about Russia and the United States getting into a nuclear war. Are you going to vote to have a war or not? If you aren’t please tell me how you are going to help to not have a war. This question you do not have to answer, but I would like to know why you want to conquer the world or at least our country. God made the world for us to live together in peace and not to fight. 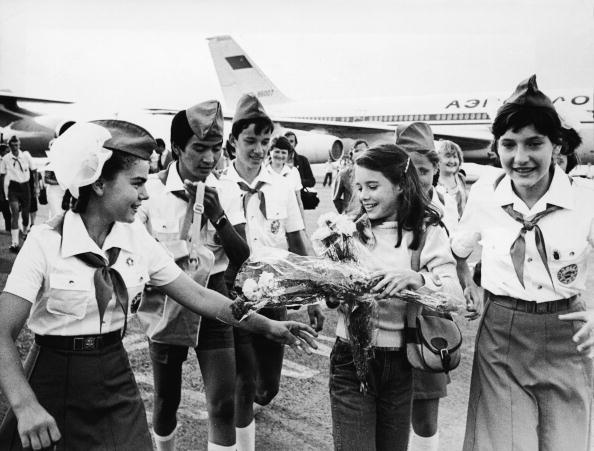 On July 7, 1983, she flew to Moscow with her parents, and spent two weeks as Andropov’s guest. From today’s my point of view I think her visit were unimaginably influential for every Soviet child because she was from a different planet. You see on the cartoon that it seems the Soviet Union was even from different biological spice. She is Angel. She had changed our Destiny forever. Because of her the doubts were born. “Why are USA our worst enemy? Samantha in from USA and she is a friend” we were thinking learning English intensively. “Why intensively?” you can ask. The Soviet Ministry of Education created a special linguistic school where foreign language was compulsory from the first grade (6-7 y.o.) after Samantha’s visit. We were grateful for her gift to open our eyes. America was not our enemy. She died on August 25, 1985. Could you imagine the mourning day devoted to Samantha at the 1st September, 1985, in every Soviet school, in the official Knowledge Day?! We were crying and writing a letter of condolence to Samantha’s mother by whole class. I remember that moment, even now I am writing with tears in my eyes. 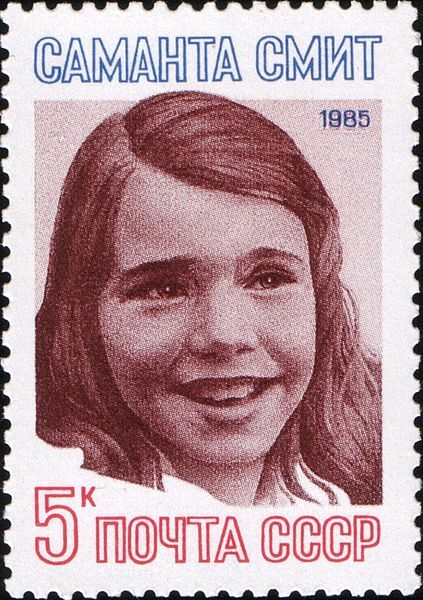 In 1985 the Soviet Post issued a commemorative stamp with her likeness. In 1986, when Soviet astronomer Lyudmila Chernykh discovered asteroid 3147, she named it 3147 Samantha. It was the precedent. The wind of Her angel’s wings has begun creating a new melody of our ways… We all are connected, the butterfly effect works. Thank you for your being in my life. We are influencing on each other and from this very point we are going to be happier and kinder than we were a moment ago. I am grateful for you change my Way. Yes, I agree she made the difference. Thank you for your comment and interest. Have a beautiful and inspirational day! I will read all your post there. Keep updating :-)! I will — I appreciate you reading ! This very interesting, I didn’t know about any of this! 🙂 I think I’m a little older than you, I was thirteen in 1981 and I can remember bits in the news and newspaper headlines creating the impression that our (Britain) biggest enemy in the world was Russia. I’m so glad I wasn’t interested in all those foolish political views, I largely ignored it and thought my own thoughts instead. And now, people my age are wondering what all those headlines were about! It’s governments that create wars and threaten the stability of life for us all, not ordinary people. Ordinary people just have to put up with all the disruption to their lives! I’m glad to hear this little girl made a difference to your mind and your country! Thank you very much for your comment. I am happy to bring you something new. You know we were involved in political views from the birth because our parents were a builders of Communism. The advantage of this knowledge I can chose and feel when I think by my own brain and when global mass media thinks in my head :-). I loved this story and made me almost cry too!!! Dear Shree, I am incredibly happy to meet you. You are great, your thoughts are beautiful. I love your blog. 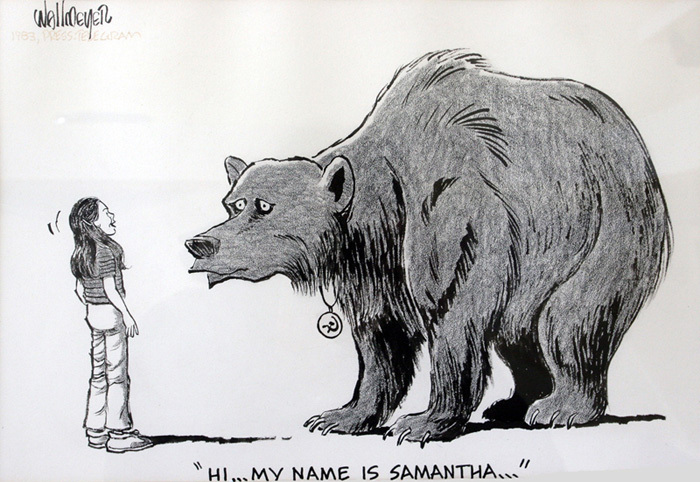 I do remember Samantha Smith…but the effect she had on the USSR- that I do not recall remembering. Thank you for this piece. Thank you for your comment. 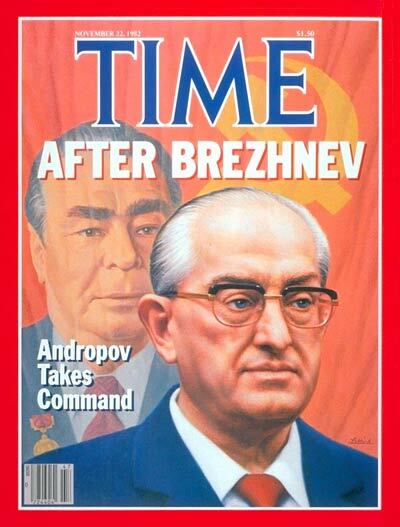 Analyzing the situation in retrospective I think the USSR was not a real totalitarian as in the modern definition.